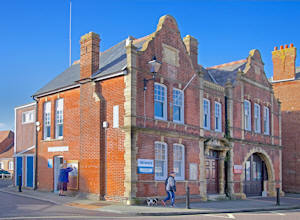 The Emsworth Museum is extremely pleased to be offered, and indeed welcomes, donations of artefacts or donations of a financial nature. The Museum owes its existence and on-going vitality to the generosity of previous donors. Donations largely provide the means by which the Museum can shape and develop its collection. It appreciates the generosity involved in the offer of a donation, and understands that such items may hold important memories for individuals, their families and friends. The Museum can assist donors find an appropriate place for their donations whether or not it accepts the donation itself. It may be useful to read the information below before a prospective donation is brought into the Museum. * that help to explain, advance, or enhance the history of the area or the story of Emsworth, its people, businesses and all related subjects. * that are suitable for display in a public museum. * provided it has appropriate available space and facilities for the display or retention in storage of the items.